List eleven random facts about me. 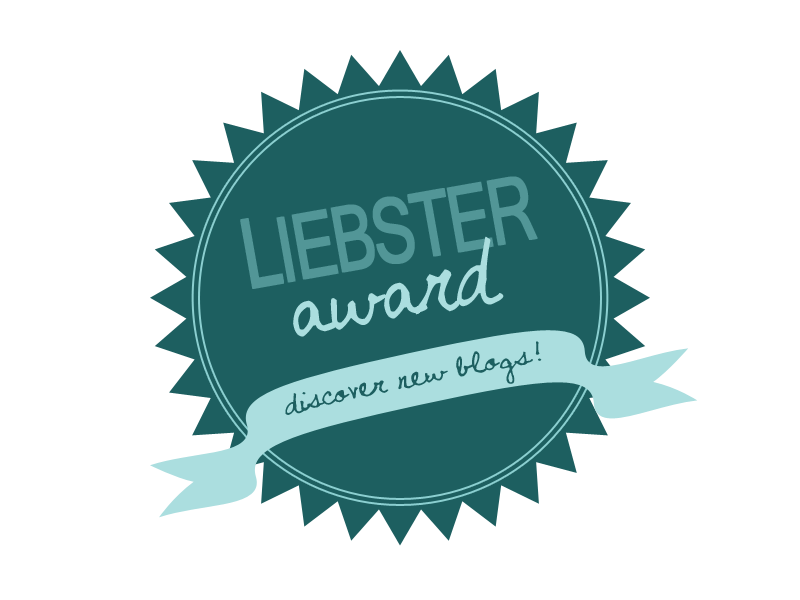 Nominate eleven bloggers for the Liebster Blog Award. Ask eleven questions the bloggers must answer upon receiving the nomination. The person who nominated me is Hari Qhuang, of Hari’s Got Tales! I can honestly say that Hari and I are frequent readers and commenter often on each other’s blogs. Hari, like me, is a food blogger; and I really enjoy seeing other perspectives on food. Hari’s authentic Asian recipes are often entirely new concepts to me. I really love to try to incorporate little bits and pieces of what he does with his food in to my own meals. I definitely recommend that you all take a moment and stop by Hari’s site to see what he has to share today! I wear a suit to work every day. Today I am wearing a 3-piece suit. Interestingly, the office that I work in at the moment is considered “Business Casual”; most of the people wear slacks and a shirt, most of the time. But often enough it’s a short-sleeve golf shirt, with sneakers. And I wear a suit, with a tie, every day. I’ve been running all my life; but I only started to actually enjoy running about 4 years ago. That was when I switched to bare foot running, and the world immediately changed for me! Before that, I ran regularly, but considered it to be a chore, and a barely tolerable one at that. Now, I love it! I was born and raised in Vermont, and still think of myself as a Vermonter. Unfortunately, I cannot eat a normal apple pie any longer. However, my mother has become quite adept at baking Paleo Apple Pies for special occasions, and there are few things in the world that make me feel better than Mom’s Paleo Apple Pie! I absolutely love Maple Syrup. Probably because of this, I almost never use it. Any time I am actually in need of a sweetener, I either caramelize something (onions, mushrooms, fennel), use fruits, or use honey. They’re far less addictive to me. Maple Syrup, for me, is reserved for very special occasions. Like as a sweetener in my 20+ mile run drinks! My eyes are very light-sensitive; I cannot go outside without sunglasses unless it’s actively raining. Despite this, I spend as much time outside as possible. Since going Paleo I rarely burn, so I know it’s just an eye thing for me. Barbecue, and smoked meats, are without a doubt my favorite food to eat!! I could eat smoked meats all day, every day. I might even forget to eat my vegetables if that was an option! And it would be heavenly!! While my wife and I were evaluating dietary options, those many years ago, we took a considerable amount of time to consider Vegan. We are both deeply analytical, very well educated, and careful about our choices. It was important that we make the most informed decision possible, and the Vegan diet is the media’s darling for health. We spent a considerable amount of time reviewing the data on Veganism, in order to ensure that we were making the best decision for our health possible. I take nutritional supplements. No, I don’t take any of the name-brand off-the-shelf supplements, and I honestly don’t think those are worth your time to consider. I have a functional nutritionist who works with me to specifically ensure that my nutritional needs are met. My program is highly individualized, and incorporates pieces of the available food spectrum which I don’t have a lot of exposure to. I think EVERYONE should find a good functional nutritionist, and make sure that they’re getting all of the nutrition in their diets that their body needs! I love dogs! I don’t have any pets, but if I did, I would have two large dogs. Think Burmese Mountain Dogs, or Alaskan Malamutes. I might even go so big as an Irish Wolfhound. I like big dogs!! I was once tricked to eat a fried bat. Name some of the most extreme foods you have ever eaten. – That’s a funny question. The idea of an “extreme” food is classified by your food culture, more than anything else. I’ve eaten bugs; cooked and raw. I’ve eaten raw, uncooked Jalapeno peppers. I’ve eaten an onion, like it was an apple. But relative to my paradigm at the moment, the most extreme foods I have eaten: Spaghetti, Lasagna, Fried Rice, Mac&Cheese, and worst of all: Toast! Name a thing you would not eat (not because of religious reasons), even if someone pay you lots of money to eat it. – Ok, the obvious answer aside… I think I would have to draw the line at inorganics. I have no interest, whatsoever, in eating Petroleum products. I once took a three hour ride just to try a famous roasted duck, which did not taste as good as advertised. How far have you ever traveled for food? – For food specifically? Not that far… I doubt I would be willing to take even a 1-hour drive for a specific restaurant or meal. But I always prioritize food whenever I travel! What is your personal policy about food in the bedroom? – Avoid it like the plague. There is a time and a place for everything, and food in the bedroom is completely anti-functional. Also, I think there are some sort of Feng Shui laws about it or something. When I was in Bali, I had a lunch in the middle of a paddy field. Where is the most unusual place you have ever dined in? – I ate a meal-replacement bar and an apple while I was hang-gliding. I can’t really call that “dining” but it’s certainly the most unusual place I’ve ever had a meal! Name three kitchen tools you are allowed to bring If you – in some crazy scenario – have to live in a deserted island for a month, where you have to eat whatever you can find there. – Chef’s Knife, Skillet, Chopsticks. If you are given the chance to launch your own perfume, with a condition that it is going to smell like food, what flavor is the main chord going to be? – Macadamia. I was going to go with Coconut, but I’ll bet that’s been done. If you are a contestant in a cooking pageant – is there one? – and you have to cook something that represents yourself, what would it be? – Paleo Bacon Apple Pie. What do you think about “junk” food? – As above: “Junk” is determined by your food culture. I consider anything with grains in it to be “junk” food; and I avoid them like I avoid having food in the bedroom! My body is, as far as I know, the only one I’ll ever get. So I treat it with the utmost care and concern, in the hopes that it will perform at it’s highest capacity for as long as possible. What is the worst thing you have ever eaten to impress someone or to “save face”? – Honestly, nothing. I’m unconcerned with “saving face”, and while I would eat something to impress someone, I’m not really disturbed by most foods. Except grains. I won’t be crossing that line any time soon. What is the best advice about food have you ever gotten? – My father said to me, as I was heading off to college: “Start with caramelized onions while you figure out what you want to eat.” The echoes of that advice still show up in my food choices today. Of the astonish number of technologies that we use every day, which one has the most impact on your life? What is your least favorite part of blogging? And how do you cope with it? If you were transformed into an animal (a non-human animal…), right this instant, which animal is most representative of who you are now? If there was one activity that you could spend a day doing, regardless of cost, location, etc. what activity would you do first? If money was no object, is there a restaurant, anywhere in the world, which you would travel to and eat at? And what would you eat? What is the most fun you have ever had with food in your life? And school-yard food fights DEFINITELY count! Have you ever gone running outside with socks but no shoes on? Why? What season was it? Is there an article of clothing which you have purchased in the past but you will never purchase again in the future? What is it, and why will you never buy another? And Halloween costumes don’t count. Unless you were buying clothing to assemble the costume yourself; not using a pre-assembled costume package. What was your favorite childhood game? Do you still play it? Why, or why not? What did you want to be when you grew up? Have you become that? Why, or why not? If you had no limitations, is there a food that you would like to cook with, but cannot currently? What food is it, and why can’t you cook with it? Yes, cost can be the reason. Thank you so much! I am glad you are enjoying my crossfit journey too! Thank you for nominating for an award! I love your questions, especially #11. I really want to cook an ancient recipe but it requires a whole ginseng, which is like super duper expensive! L-O-L! Vermont?!! Awesome! I was born and raised in New Hampshire, and despite not living there at the moment, will always be a New Englandah…. Glad to know I’m not the only one that thinks that way. Yup! You can take the boy out of the woods, but you’ll never managed to get the woods out of the boy!! I love New Hampshire! One of my closest friends was born and raised there – it’s a gorgeous state, and the people are definitely my kind of people! Of course, being close neighbors of Vermonters (pronounced: “Vurmahntah’s”) there’s always been a healthy rivalry; but it’s kept us all strong! Awwwwww THANK YOU! I’m feeling the love. Will pass it on for sure 🙂 And big congrats to you on the award. My pleasure! I’ll do whatever I can to make sure that your motivation is soundly intact – my and all the other readers you have want you to keep writing!! Eeesh!! Thanks! This is my first award toot toot! Will do my best to answer your questions and pass on the good vibrations around my pequeña blogosphere 🙂 And I am totally with you on the whole caramelized onions thing by the way! Awesome! I love caramelized onions, and I just don’t know what I’d do without them! !